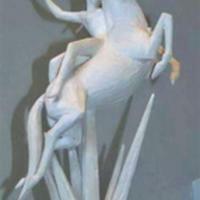 There are 9 small parts in a box that make up part of the Princess and Unicorn. 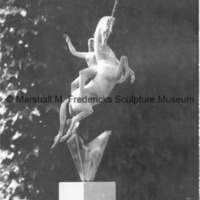 The box lists 2 parts the top and bottom of the piece which may make up the bulk of the sculpture. 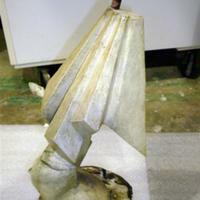 What remains in the box are appendages and small parts. 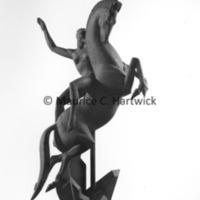 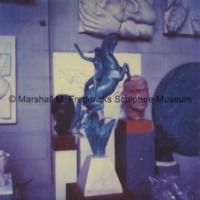 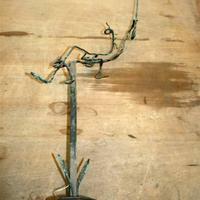 Small-scale bronze for large fountain, 26 1/2 inches, never enlarged to full-scale. 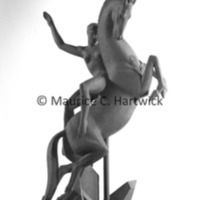 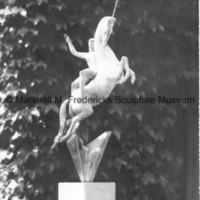 Plaster model for "The Princess and the Unicorn"
1965, small-scale plaster model for large fountain, 26 1/2 inches, never enlarged to full-scale. 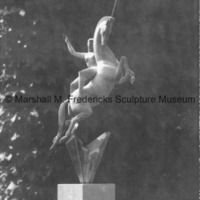 1965, small-scale plasteline study for large fountain, 26 1/2 inches, never enlarged to full-scale. 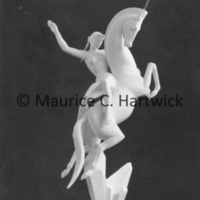 Side/front view of the plasteline model for "The Princess and the Unicorn"